“We believe Success Plans have the potential to transform a factory system of schooling into a targeted, customized system that has the capacity to realize our urgent goal of preparing all of our children for success,” Paul Reville says. He’s the Director of the Education Redesign lab and a former Massachusetts Secretary of Education. Citing City Connects’ “robust partnership” with Boston College, school districts, and community agencies, the report points specifically to our work in Salem, Mass., where City Connects has been implemented in all of the city’s pre-K-to-8 schools. “The City of Salem has been working closely with the Education Redesign Lab since 2016 as part of the By All Means initiative, a four-year effort to improve child outcomes,” a press release about the report explains. 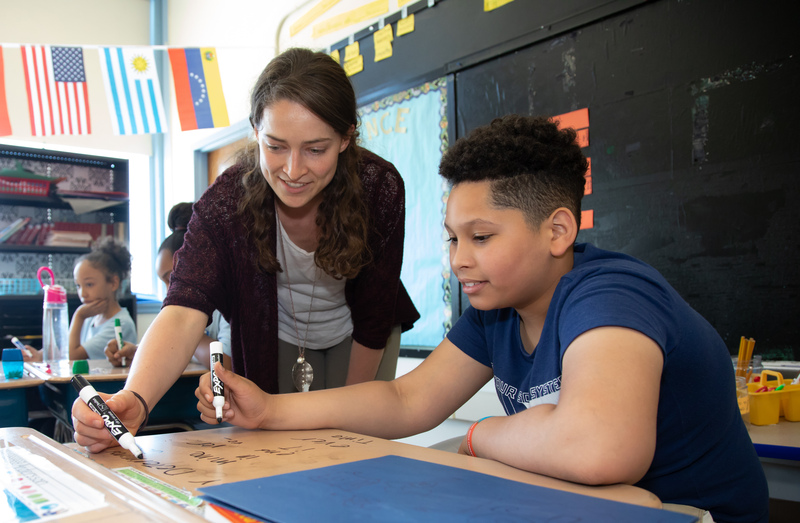 By working with every teacher to conduct whole class reviews of every student, our Coordinators ensure that the plans they develop for students are equitable, student-centered, actionable, and relationship-driven. And our community partners enable us to provide students with diverse services and enrichment programs. Thanks to our Student Support Information System, we are able to collect a wide variety of data and keep it secure, tracking the services and supports that children receive and how this impacts their personal and academic lives. Researchers who have evaluated this data, have confirmed that City Connects has a positive impact on student outcomes. We build sustainability by working closely with schools and districts to give them the professional support that they need to help their students flourish, even in the face of hunger, homelessness, poverty, and domestic violence.